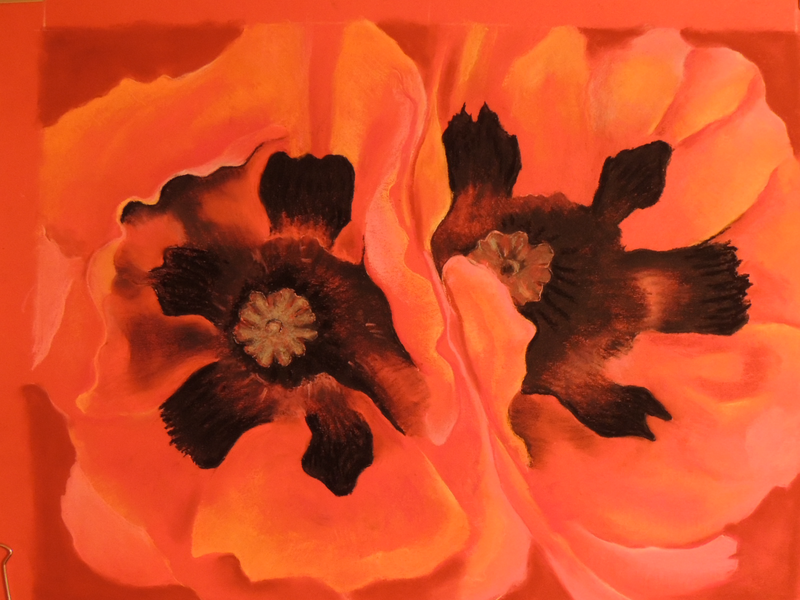 Award-winning pastel artist Gregory John Maichack conducts a hands-on, adult workshop entitled “Scarlet Poppies: Pastel Paint like Georgia O’Keeffe.” This pastel painting workshop is designed for sheer beginners to experienced artists. Space is limited so please call the library at 508-760-6219 to pre-register. Participants will freely experiment with professional grade pastels, pastel pencils, and pastel paper. Maichack, nominated twice for a Massachusetts Gold Star Program Award, will demonstrate the essentials of painting with pastels. Scumbling, feathering, blending, slurring, edges, and layering will be taught in this direct tactile medium of pure and nuanced color. Everyone takes home their own original pastel painting. This workshop is supported in part by a grant from the Dennis Arts and Culture Council, a local agency which is supported by the Massachusetts Cultural Council, a state agency.